Offering a sonic experience like no other, Acoustic Pro amplifiers are true "audiophile amps," delivering superior live sound with studio-quality effects. 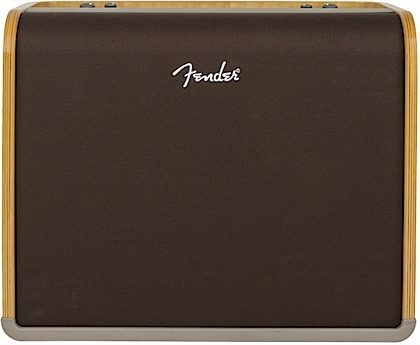 Along with a flexible pro feature set, Acoustic Pro offers high-grade components and technology, pure Fender tradition and expert sonic imaging--allowing every note to be naturally and painstakingly replicated, letting your acoustic personality shine. 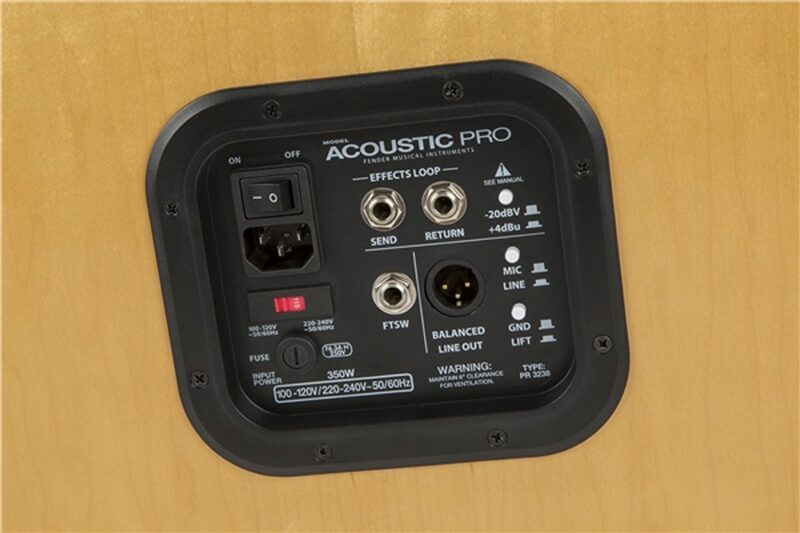 The 200-watt Acoustic Pro has two universal channels designed for use with guitars or microphones, each with its own 1/4"-XLR combo jack and luscious hall reverb. 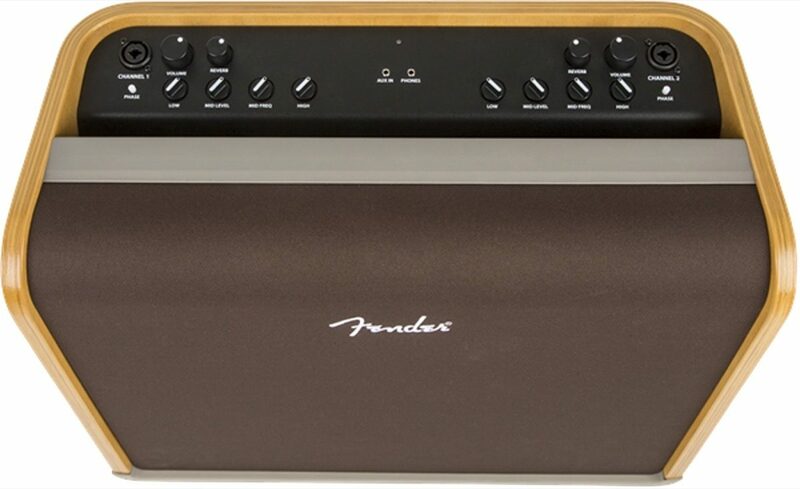 Use the onboard tone controls--including sweepable midrange--to finetune your instrument's tone for any room. 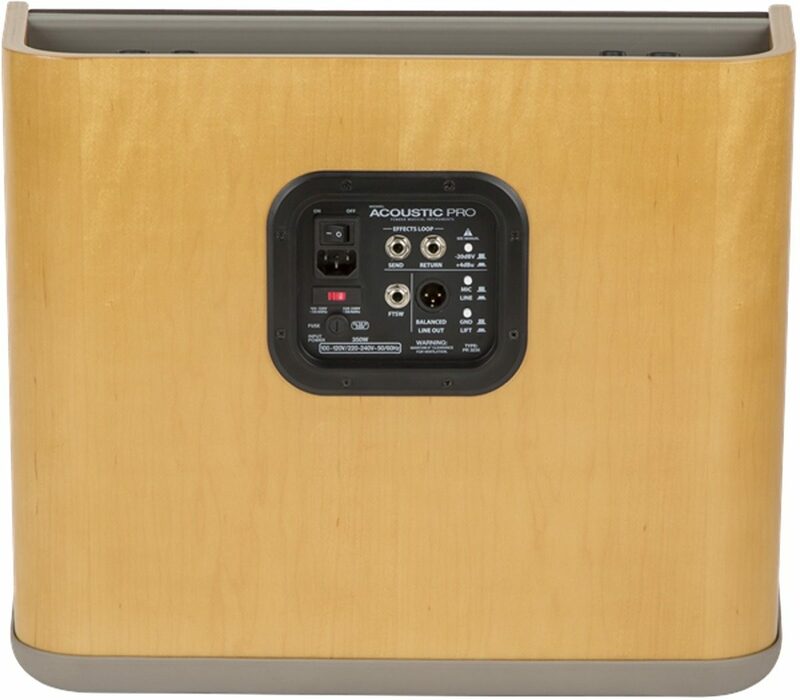 Other performance-friendly features include integrated tiltback kickstand and handle, full-sounding 12" neodymium woofer, high performance tweeter with crossover network, feedback-reducing phase switches, balanced line output, effects loop and Aux In jack--perfect for connecting an external audio player to accompany your performances in any large venue. Voltage is switchable for universal 100 to 240 volt worldwide operation. Overall: I perform about 12 shows a week in different settings and have used a wide variety of sound systems this is the best for sound looks and ease of operation. 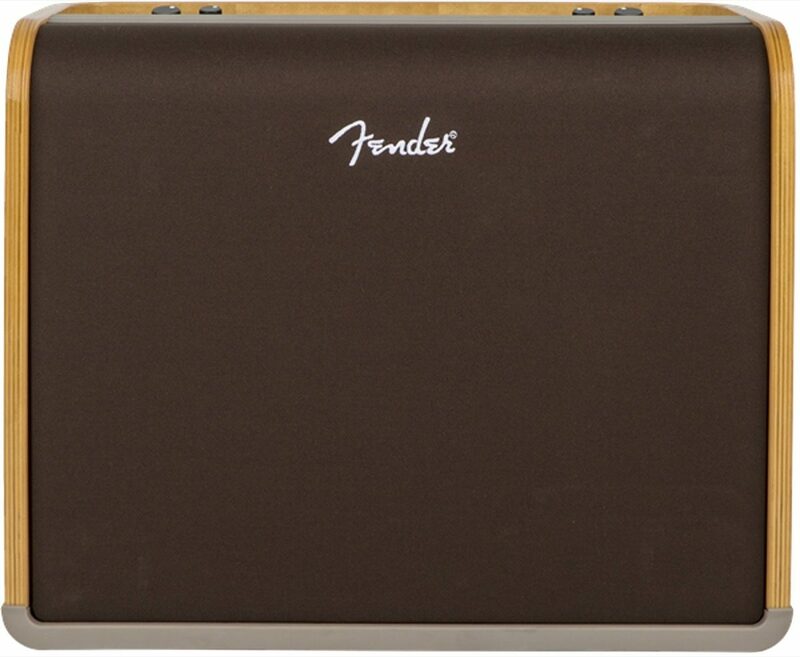 My next purchase will be the Fender SFX and I'll sell my Fishman 220 to gget it. I highly recommend this product line. Style of Music: Rock, and songs from the 20's through the 60's and original. 8 of 11 people (72.73%) found this review helpful. Did you?